If Tottenham beat Man City in the Champions League, our game will almost certainly move to the (bank holiday) Monday night. But if you plan to go to the game by train, you won't be able to get back to Leicester that night. If Manchester City beat Tottenham, but Liverpool and/or Manchester United are playing in the Champions League on the Tuesday, our game will probably move to the Sunday. So it's impossible to plan for the game until we know what's happened in the Champions League. But match tickets will probably be sold out by then, so some people will need to buy their tickets, not knowing if they'll be able to get to the game or not. And match tickets are now unreturnable. Got an email today from NOW TV saying you can get 40% off a sports pass for the month. So £20 for the month if you buy before midnight on the 14th. We're on 3 times during that period if you sign up on the 12th in time for the Newcastle game. Not sure if its a universal offer or just targeted at people like me who dip in & out of it but might be worth checking? It was for everyone last time they did it if I recall. That’s still an insane amount of money just for a handful of sports channels. But it’s cheaper than 3 lots of £8.99 for which you only get three days worth. I've not had the email about the £20 sports pass. Was there a link to the offer in the email they sent you? Month passes are available for £25 from Currys/PC World. That would turn a dumb TV into a smart one. It gives you access to services such as Netflix, Youtube, BBC iplayer etc. I received the same offer on 28th March, it expired on the 31st, my offer advertisement featured Formula 1 coverage, and there was no code, just a link that required login, so seems they are personalized offers. 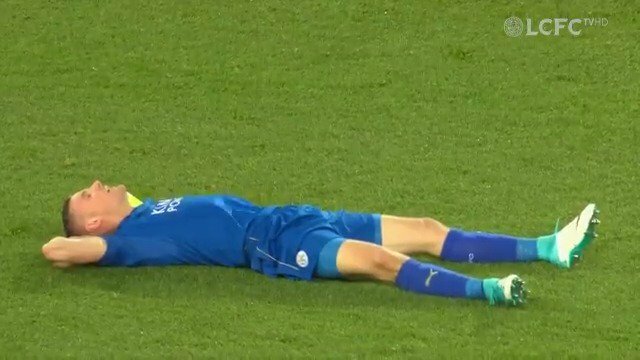 This season when Leicester have been on TV we have got an average of 0.38 points per game, but when we aren't on TV we get an average of 2 points per game. If we had the TV form throughout the season we would be 1 point below Huddersfield, and if we carried on the non TV form throughout we would be 2 points ahead of Chelsea. This season, 15 games on TV (Inc 2 cup), 1 Win, 3 Draws, 11 Losses. Not sure what to make of that stat. Most of our TV games have been against the bigger teams where we aren’t expected to get much from them. All our games are on TV somewhere in the World. I suppose the 3pm Saturday games not shown live in the UK will inevitably be better points accumulators, because they're very likely against the also rans. There's a good chance our game at Manchester City will now be played on the Monday night. The Arsenal match could be moved too, with even less notice. Yes it’s about time the FA did something but that would be helpful so will never happen, at least the the case of the arsenal game it’s due to a clash with the club we’re playing having another fixture.